Repaired and in good working condition. Fancy A Bush DAC90A with "Bluetooth" option added? Units are NOW in stock that I have fully serviced and the normal components updated at approx. £220 to £270 depending on condition and colour and carry a normal 3 months warranty. With the addition of a hand built 5 Volt Linear power supply ( No PSU Noise ) a Bluetooth receiver and a Relay switching unit to change over the audio supply to the volume control/power you can use your PC/Phone/Pad to send via Bluetooth recordings/I Player/iTunes to your radio and hear these through the Sound Output Valve and speaker. Your Radio can now receive via the BBC IPlayer or any radio player DAB radio stations and is more up to date than ever!! I can add a Bluetooth receiver to your Bush Radio or other make/models if required just send me an email with details and I will be happy to quote you. NO Rear switch required to enable function JUST touch!!! Birds Custard Factory Birmingham in June 2013. All of these units are part of my large collection of Radio's, collected and thoughtfully restored to full working order. 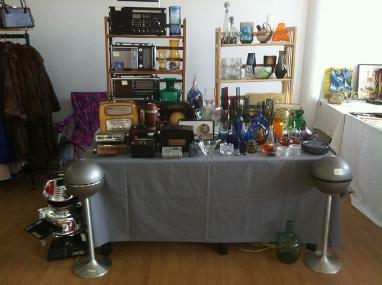 Some pieces of test equipment and tools were also for sale. Please look at the listed items currently available. All units are in full working order and can be purchased if not already sold. Items can be collected from my home or delivery can be made via courier at cost. 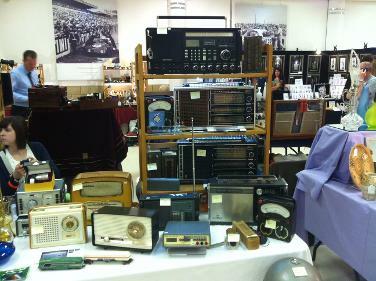 If your looking for a particular Radio please ask as I may have one in my vast collection. All units can be inspected at my home address before purchase. All Radio's come with a minimum of 90 day warranty unless stated. Refurbished (All paper/wax capacitors replaced). New Lamps and all valves confirm > 85% efficiency. LW and MW + 3 presets originally produced for the poor sighted listeners. With Bluetooth at an extra £45/65 using one of the existing preset buttons to activate.